The Third Gen Hyperconverged Infrastructure Software Released By SimpliVity! Home / news / omnistack 3.0 / services / simplivity / The Third Gen Hyperconverged Infrastructure Software Released By SimpliVity! Recently, SimpliVity released their ground breaking Third Gen of Hyperconverged Infrastructure software. The OmniStack 3.0 that has new powerful features for multi-site and single-site deployments, advanced data protection and new technology guarantees to their customers. 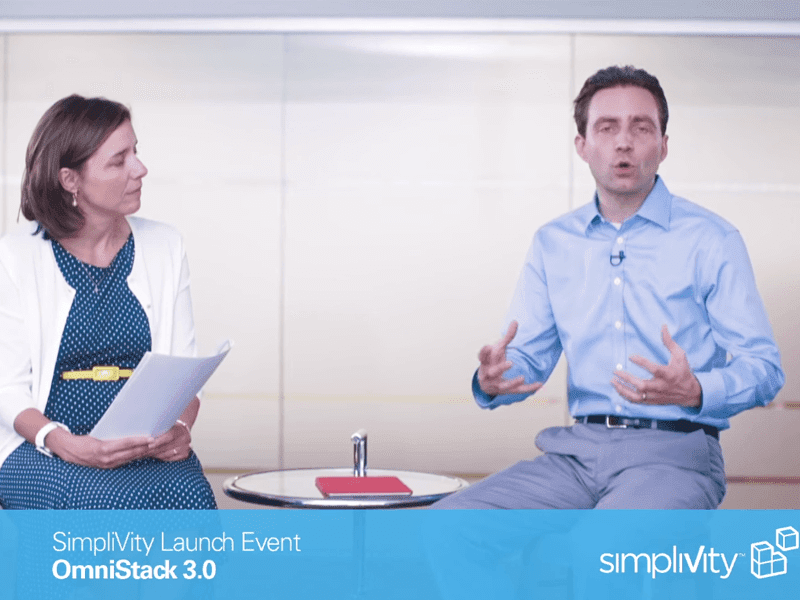 SimpliVity got their leading technology accelerated with the OmniStack 3.0 Data Virtualization Platform. Why? It is because this is the most robust product launch since their company was founded. It is a transformational technology that revolutionize multi-site deployments with a new Unified Protected ROBO solution and optimized platform. That also improves performance and scalability for highly consolidated single-site deployment; extends foundational, built-in data protection by being the first hyperconverged infrastructure vendor to deliver file-level restore capabilities. SimpliVity also provides the unmatched HyperGuarantee feature for data efficiency, data protection, multi-site management and non-disruptive IT refresh. The OmniStack Data Virtualization Platform has differentiated SimpliVity from competitors since the company first launched. As the only vendor to assimilate all IT infrastructure, management and services below the hypervisor, SimpliVity’s hyperconverged infrastructure delivers the best of both worlds: the enterprise-class performance, protection, and resiliency that today’s organizations require, with the cloud economics that businesses demand, with 3x TCO reduction. The only hyperconverged infrastructure optimized for ROBO – With new, automatic multi-site network discovery, including support for hub and spoke configurations, SimpliVity’s Unified Protected ROBO solution addresses the complex management and data protection requirements of enterprises with remote office/branch offices. New OmniCube for ROBO deployments – SimpliVity’s new, entry-level OmniCube CN-1200 system is ideally positioned for small ROBOs at a price point that is up to 50% lower than alternative hyperconverged solutions. Enterprise-grade performance and scalability for single-site deployments – OmniStack 3.0 is architected to support single-site deployments for mission-critical applications. The release delivers up to 30% increase in performance for mission-critical workloads like Microsoft Exchange and OLTP, as well as best-in-class cost per VDI desktop with full data protection. New Deployment Manager speeds deployment times fivefold – The new Deployment Manager automatically discovers and makes it up to 5x faster to deploy multiple nodes in parallel for single-site and multi-site deployments. File-level restore – SimpliVity is the only hyperconverged vendor to introduce built-in file level restore capabilities, accelerating operational recovery for administrators. Enhanced backup policy management and reporting – New capabilities enable administrators to set backup policies across multiple virtual machines in one session to improve workflow efficiency. New reporting feature simplifies management by modeling the impact of backup frequency and retention policies to system resources before actually implementing them. 60-seconds or less, on average, for local backup or restore of a 1 TB VM. SimpliVity solutions are available in the Philippines via MSI-ECS. For pricing and availability, please email mvalenzuela@msi-ecs.com.ph.